August 31 - September 7, 2019. Sometimes life starts to feel way too predictable, perhaps even monotonous. Things are good, but not great. Maybe you're wondering if there's more to life than this? ... like there's more you want to experience but you just haven't had the time to think about it. Every once in a while, we all need to hit pause on the remote control of life and ask ourselves, "Am I living the kind of life that I really want?" So if you want to get that question answered, The Ikigai Retreat will help you re-analyze your life. It was designed to provide the necessary space and time needed to intentionally create your life, instead of living it by default. So join us for a unique blend of specifically curated experiences, wellbeing education, and body/soul nourishment. We've done all the leg work for you. All you need to do is book your flight. I'm interested! Please send me the VIDEO SERIES with updates and reminders! Ikigai is a Japanese word whose meaning translates roughly to a reason for being, encompassing joy, a sense of purpose and meaning and a feeling of well-being. The word derives from iki, meaning life and kai, meaning the realization of hopes and expectations. And this is exactly what the retreat is all about. What are the secrets of the world's blue zones? What does the research say about living a long and happy life? How do you find more purpose in your life? How can you use money to literally "buy happiness?" What do Costa Rica, Denmark, and Japan all have figured out? Why do people live long and healthy lives there? The answers are fascinating. Scroll down to find out what you'll learn each day of the retreat. A blue zone is a concept used to identify a demographic and/or geographic area of the world where people live measurably longer lives. In Costa Rica, the Nicoya Peninsula is one of those areas. The residents of these regions live healthier and longer lives, produce a high rate of centenarians, and suffer a fraction of the diseases that are common in other parts of the developed world. In order to make this as easy as possible, we've made this experience ALL-inclusive. All you have to do is book your flight! Transportation is arranged to bring you to and from the airport in a coach bus along the scenic roads through the lush country. All 7 nights are included in your package. 6 of those nights will be in the beautiful villas at the Pranamar Eco-Resort. Everything from a private farm tour, horseback riding on the beach, ATV tour, snorkeling, cooking class, and waterfall hikes. For a couple hours each day, you'll learn research-based practices for how to increase your overall wellbeing. All meals are included - so enjoy the locally sourced, healthy and fresh food and juices all day every day. 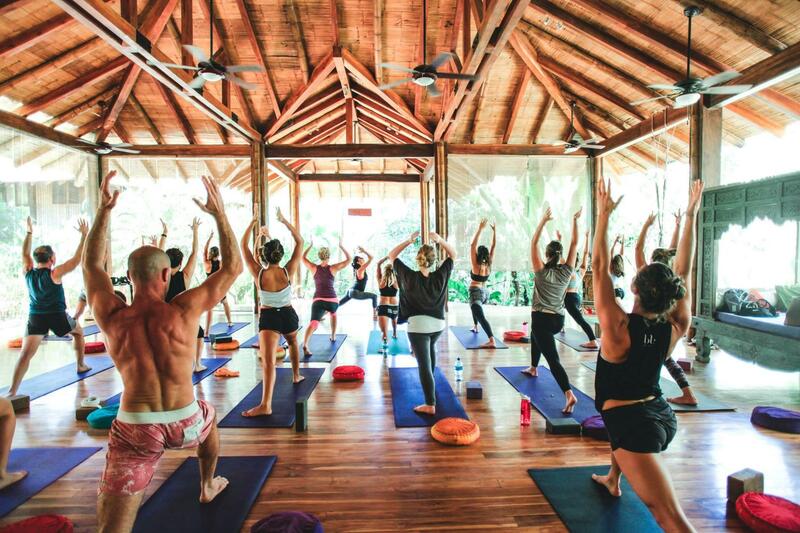 Whether it's on the beach sharing drinks at the tiki bar, or during daily yoga in the outdoor studio - you'll have plenty of time to connect with your soul & one another. Take time to relax in the hammocks or relax at the spa - a massage or body treatment is included in your package. 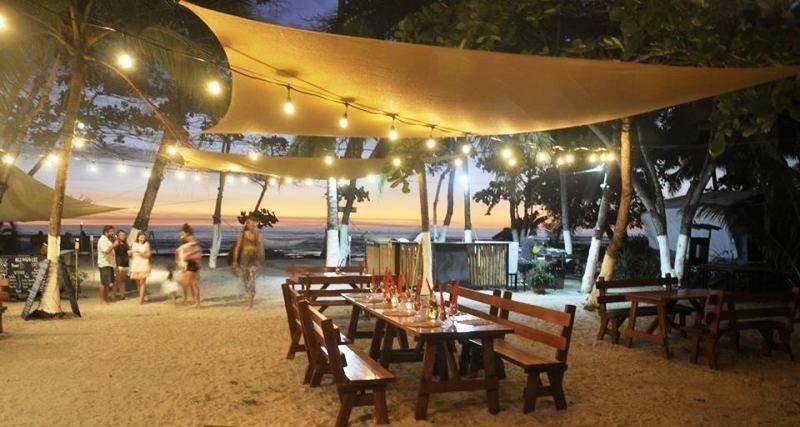 You'll be staying at Pranamar Villa Oceanfront Resort located in the beautiful beach town of Santa Teresa. Pranamar Villas is a gorgeous, intimate boutique hotel right on the water with luxury two-story villas built around a free-form saltwater pool and tropical gardens, and elaborate beachfront villas. Picture Balinese architecture with bamboo, hardwoods, stone, water and plenty of windows and doors to let in fresh sea breezes. The sound of the ocean waves breaking on the shore is the first thing you hear after a peaceful night’s sleep. You open your eyes to a villa decorated with colorful fabrics and Balinese furniture. 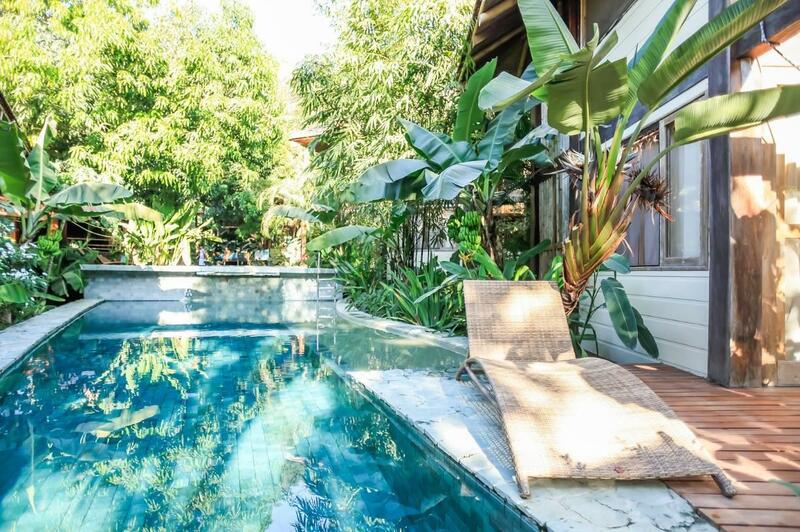 Lush gardens and pools surrounded by bamboo structures are what you see from your window. The right place to disconnect from technology and reconnect with yourself, in a sustainable environment in tune with nature. Transportation will be arranged for you to get to and from the resort. The adventure begins when you land. 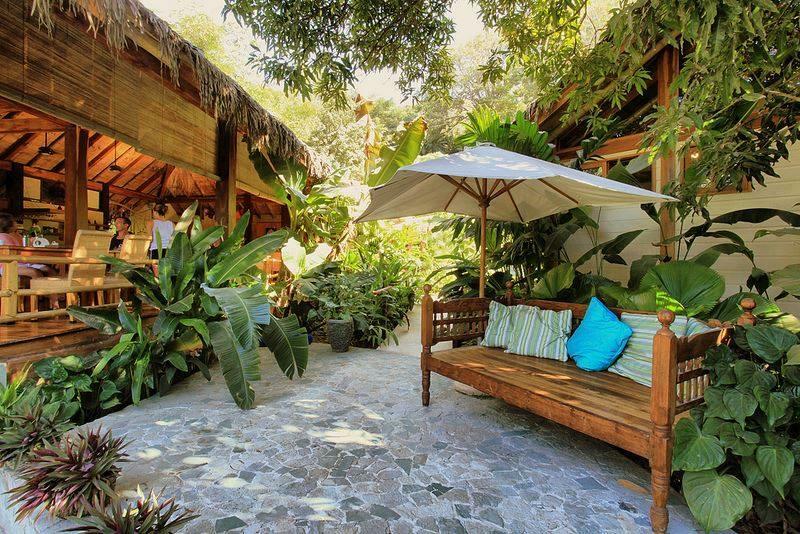 Pranamar Villas is located on Santa Teresa Beach on the Nicoya Penninsula. Plan to fly into San Jose Airport Saturday, 8/31. You'll stay at a hotel in San Jose that night (that we've arranged) and the following morning you'll depart on a coach-bus as a group to Santa Teresa. The trip will take about 4-hours, but along the way you'll see the beautiful Costa Rican country side. You'll drive through the mountains, the jungle, and along the ocean. And we'll be making a few fun stops along the way. On Saturday 9/7, we'll leave for San Jose early in the morning. Plan to depart that evening or the following day. 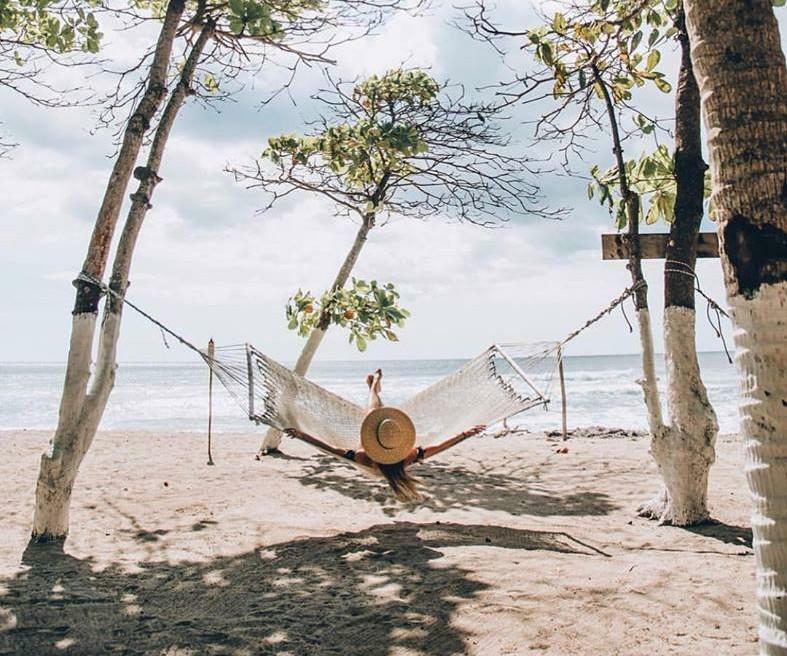 Through our uniquely curated experiences, you'll learn first-hand why Costa Rica consistently ranks as one of the top countries in wellbeing. 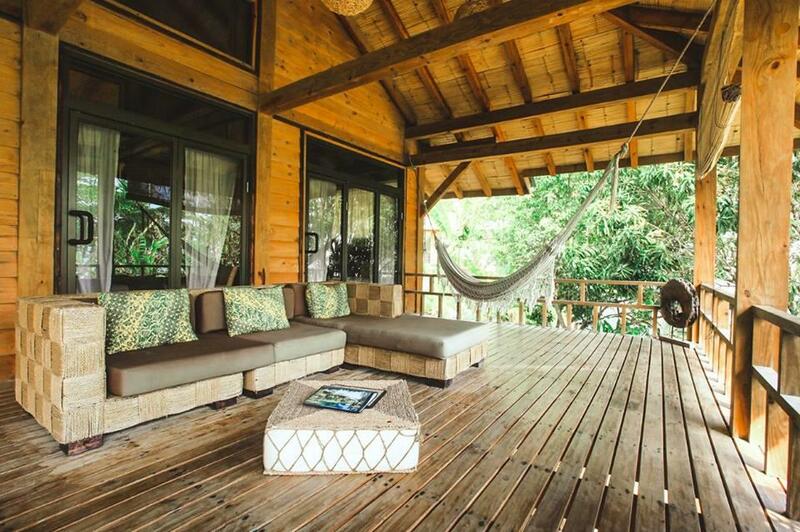 We'll head to a jungle home in Mal Pais to watch the sun go down from a hillside deck while we share drinks, canapes and stories. 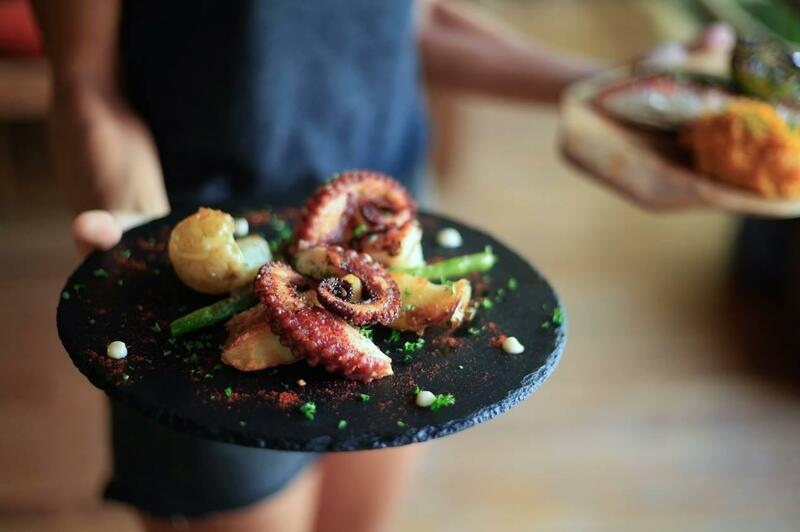 As the sun drops, you will have your senses tantalized with a multi course meal showcasing the finest flavors Mal Pais has to offer. All our food is vegan (and organic and local, where possible) but if you are not vegan, prepare to be amazed at how delicious, satisfying and beautiful vegan food truly is. After a gorgeous dessert you can relax to the sounds of the jungle and have a jam on our musical instruments before we take you back to your accommodation, fully satisfied and with beaming smiles. Come take a horseback ride through Ario Ranch, where they have the best horses in the area. This is a family owned and operated ranch protecting one of Costa Rica’s most important watersheds including key turtle nesting habitat and the Caletas-Ario National Wildlife Refuge. 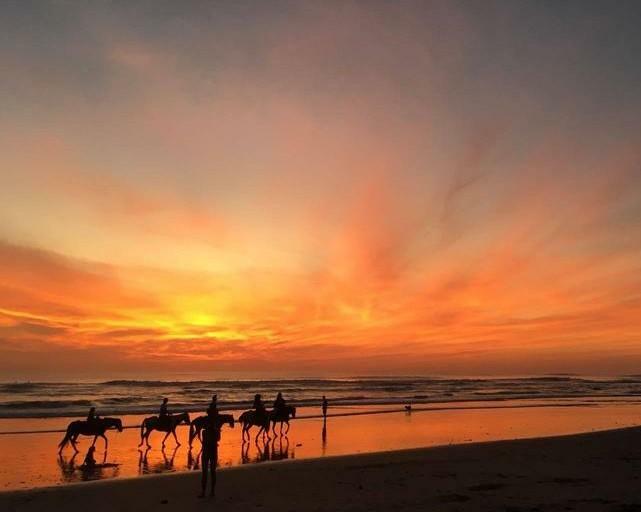 Enjoy a natural landscape of rivers, mountains and beaches accompanied by local cowboys maintaining local customs and traditions. Learn the names of the flora and fauna from the vantage point of your saddle. Witness the spectacular sunsets and leave feeling connected, content and part of the Ario Ranch Experience. We have designed a tour that lets you participate in the daily life of a typical Costa Rican farm. You will witness how the farmers live such a healthy lifestyle. Their recipe to achieve these high standards of quality life is based on strong family ties, faith, plant base diet, constant physical activity, sunshine, no smoking and no alcohol. 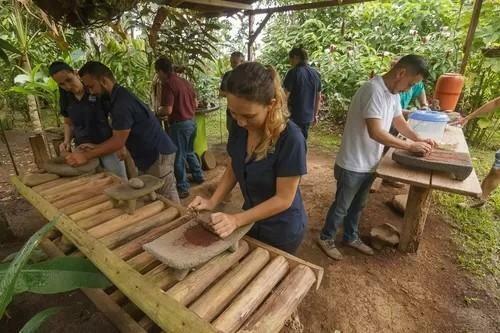 Some of the activities you can be part of include milking cows, making traditional fresh cheese, and the entire process of making raw sugar (from harvesting the sugarcane to extracting its sweet juices and then cooking it). 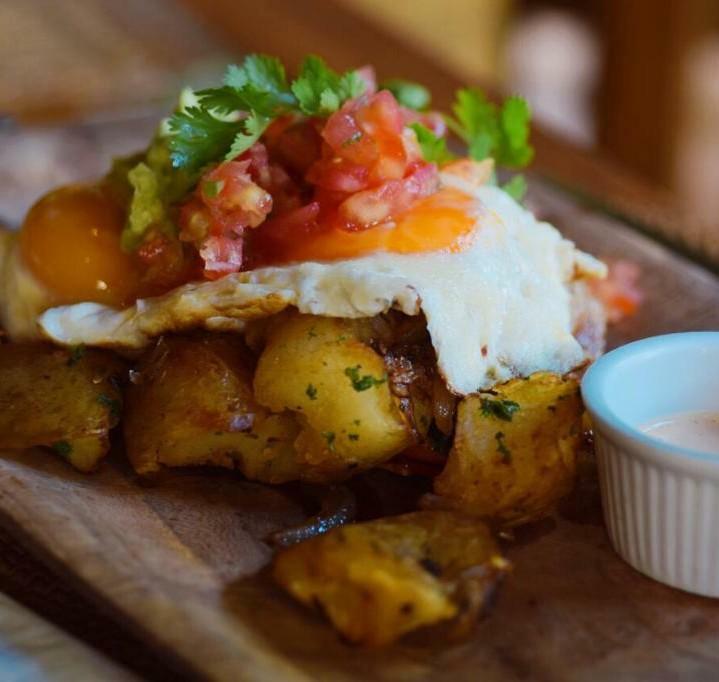 This tour includes breakfast, made with fresh ingredients that come from the farm. 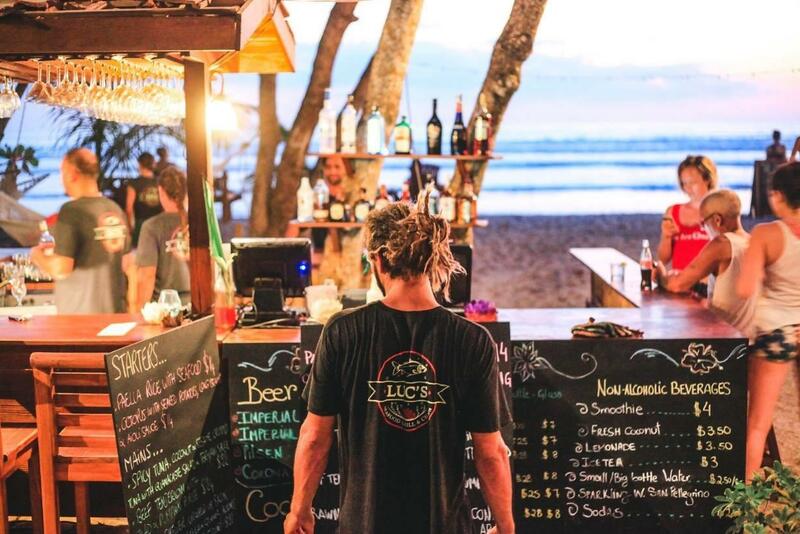 Your visit to Costa Rica is not complete without a visit to Montezuma. This small town offers visitors many activities and diverse, beautiful natural surroundings to enjoy. First you will face the challenge of swinging from one tree to another on one of the most beautiful zip lines in the country, enjoy the view of the landscape from a unique perspective on top of the amazing trees in the forest. 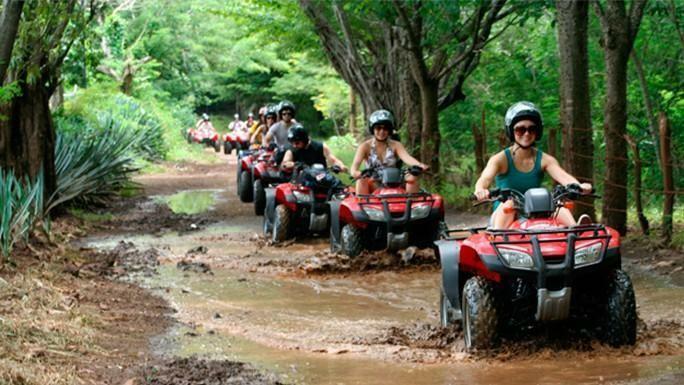 Then take a ride on your ATV through the mountains on dirt roads, reaching the southern tip of the Nicoya Peninsula where you will discover empty white sand beaches and the village of Montezuma. Here you will take a short hike to the amazing waterfalls where you can take a refreshing swim in the natural pools and then enjoy a typical Costa Rican lunch in one of the best local restaurants of the area. In the town, you will also find many souvenirs from local artisans. 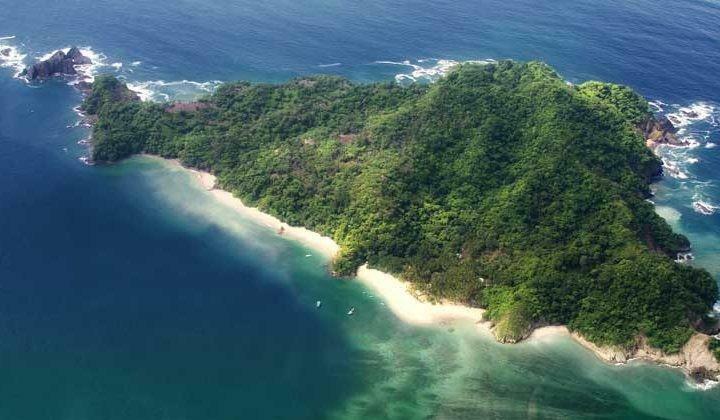 The tour to Tortuga Island, in the Gulf of Nicoya, is a breathtakingly beautiful adventure. The boat departs from Montezuma beach and travels along the beautiful coast for about 50 minutes. During this time, you might be able to watch dolphins, manta rays and turtles. Upon arrival in the paradisiacal island, 2 snorkeling dives are included in 2 different spots (scuba diving available too). 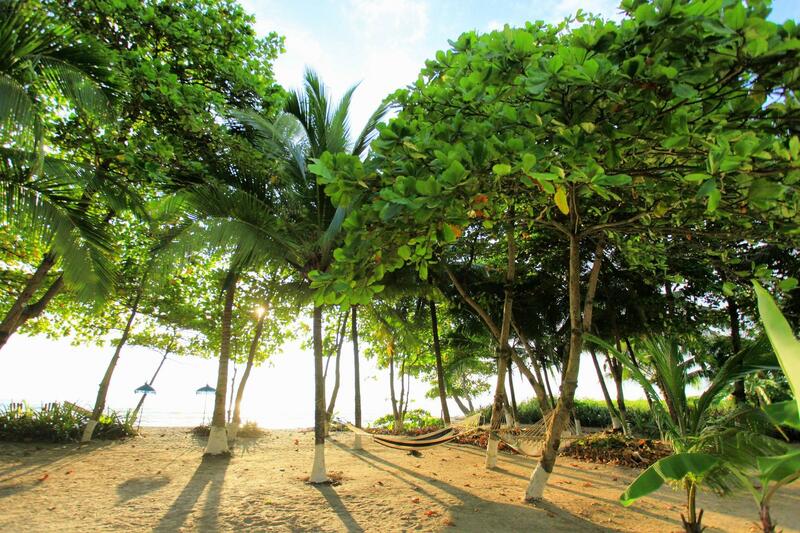 After snorkeling, you will be taken to the wonderful white sand beach of Tortuga where lunch will be ready. Fish, chicken and vegetarian options are available. You will have time to rest on the beach and swim in the quiet turquoise waters. Drinks and fruits are included throughout the day. In this research-based wellbeing course, learn the secrets from from around the world to living a long, happy and meaningful life. Every day, in the beautiful, outdoor "yoga shala", we'll spend 2-3 hours on your "wellbeing education." Each day will have a theme. These themes align with a concept taken from a country known for having high wellbeing and/or happiness. And by the time the week is over, you'll know all the best happiness practices from all over the world. ✓ WELLBEING AROUND THE WORLD - The first day will be your "introduction to wellbeing". You'll learn how wellbeing is defined from a research perspective and we'll debunk the "happiness myths" - what we've been led to believe our whole lives that is actually counter-intuitive to a fulfilling life. 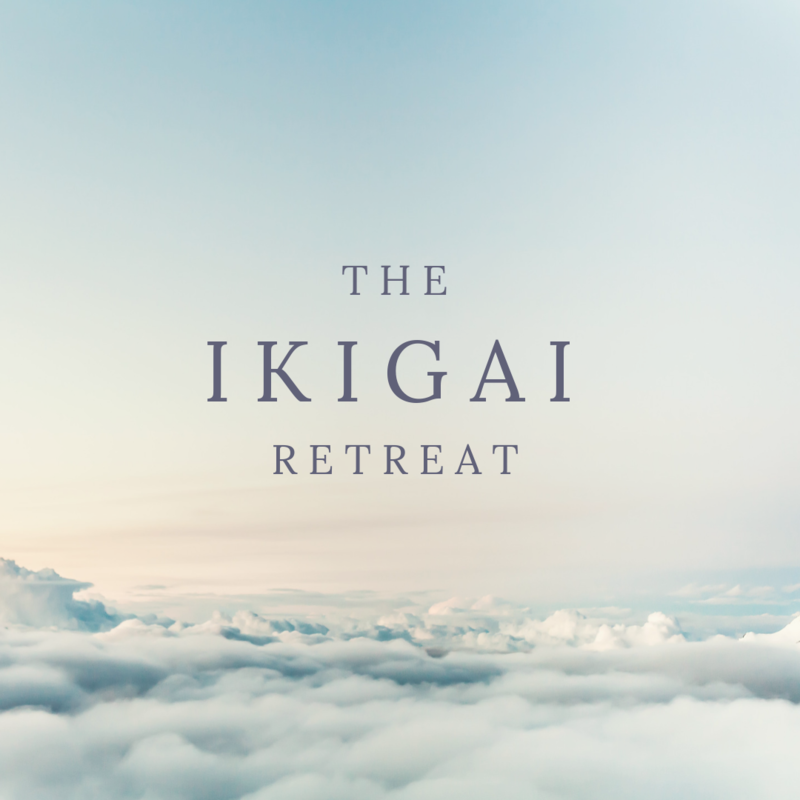 ✓ IKIGAI - JAPAN - This retreat is all about getting clear on what's important to you in your life, and what makes it meaningful. So our first stop around the world will be Okinawa, Japan so you can learn exactly what ikigai means, and why it's the reason the Okinawans live so long. ✓ PURA VIDA - COSTA RICA - Costa Rica has consistently ranked as one of the top wellbeing countries in the world. And since the Nicoya Penninsula is ALSO a blue zone, that basically means you are in the wellbeing capital of the world. So on Day 3 you'll learn what it means to truly live "pura vida." And you'll learn how to bring this care-free living home with you. ✓ HYGGE - DENMARK - Hygge (pronounced hoo-ga) is the term the Danes use to describe why they're so happy. It loosely translates into the english word "cozy." The Danes know how to value the little things that often bring the most joy whether it's sitting by a fire place with a good book, or enjoying a night in with friends. On day 4, you'll get all the hygge you can handle. ✓ EUDAIMONIA - GREECE - Ikaria, Greece is another blue zone and eudaimonia is a Greek word that means "human flourishing." The people of Ikaria are not well off, but their longevity is a result of their active lifestyle, mediterranean diet, naps, and family time. We'll go deep into the specifics so you'll know exactly how to live like they do and experience eudaimonia in your own life. Note: Prior to your arrival you'll get access to a comprehensive wellbeing assessment. This will help you see what you should focus on during the retreat. * the curriculum is subject to change as we continue to develop the material. However, core concepts will remain. Danielle was diagnosed with stage 3 Non-Hodgkin's Lymphoma at the age of 5, and that experience has fueled her desire to learn everything she could about living a fulfilled life. Before starting The Wellbeing Hacker, she was a management consultant for Gallup where she developed a unique expertise in human behavior, positive psychology, and the global research on happiness and wellbeing. Danielle has worked with the brightest minds in the self-development industry and has been personally mentored by Deepak Chopra. Together they have led events and courses focused on conscious-leadership and wellbeing. Get your fill of hammock-time and spa treatments. This is your chance to fully relax and recharge. Feeling relaxed in your body will help you feel more relaxed in your mind. So treat yourself to a massage or body treatment (included). 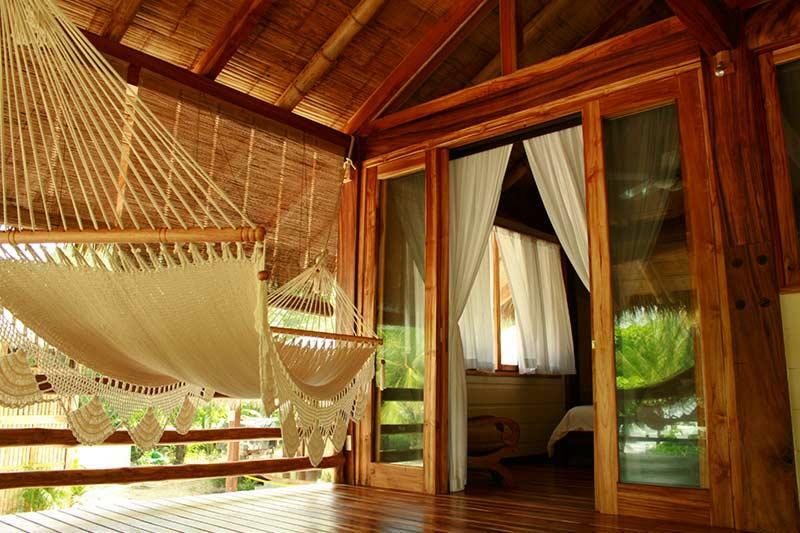 Also, make sure to bring your favorite book and take advantage of the hammock outside your villa or by the beach. Do whatever it takes to get as "unwound" as you possibly can. This is your chance to "hit the reset" button in your life, and get more in touch with who you are and what you want. 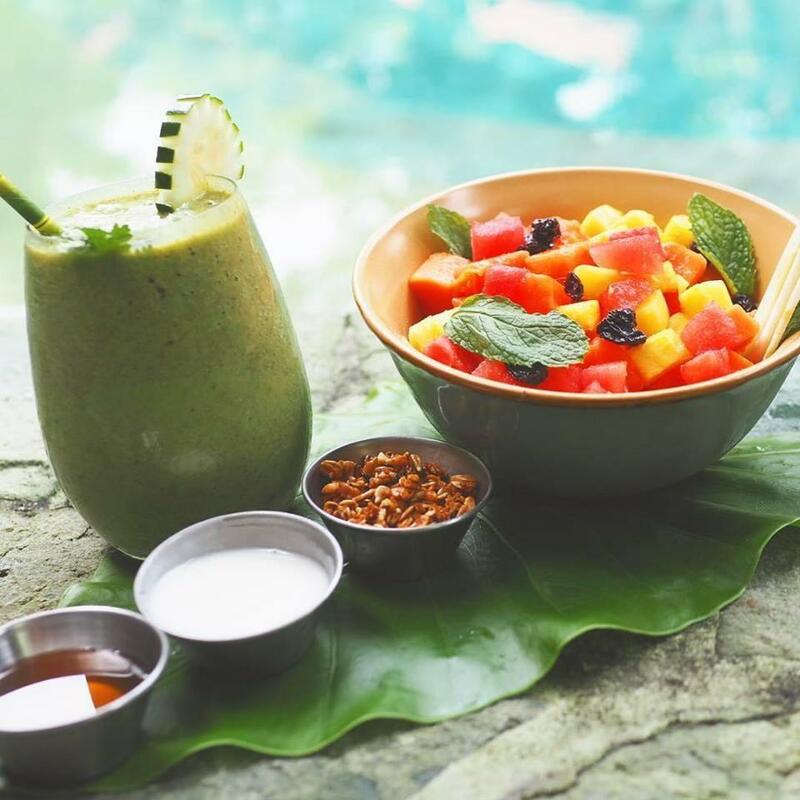 Nourishing your body with only the freshest and healthiest meals is a crucial part of the retreat. 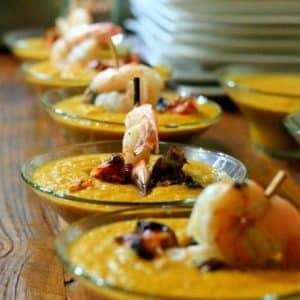 And Pranamar is known for exquisite cuisine. 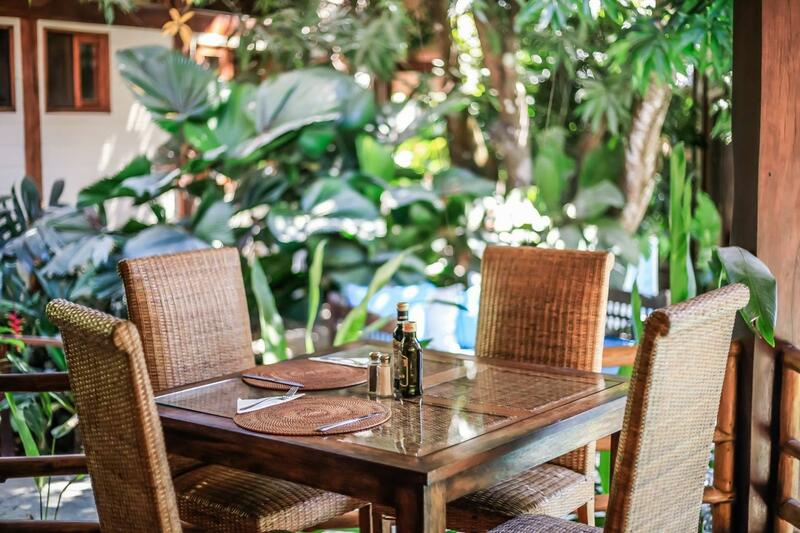 Imagine sitting under beautiful high bamboo ceilings and gazing out over a serene lagoon pool while enjoying delicious, lovingly prepared food. A dining experience of unforgettable quality, that will most likely linger in your mind long after your vacation ends. 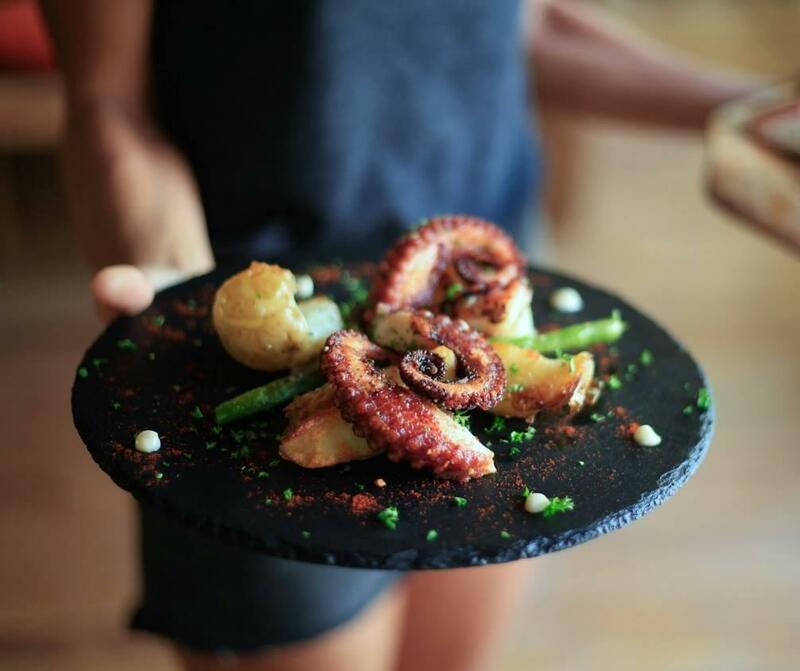 The restaurant at Pranamar has spectacular views and an exotic, relaxed atmosphere, and not only serves delicious food, but also is committed to creating dishes that nourish the body and enliven the senses. 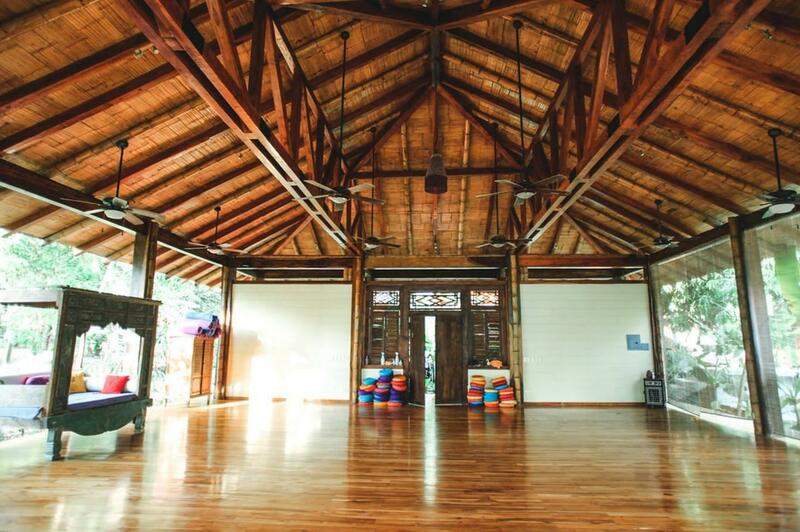 This retreat is all about connecting; connecting with the environment, with the others in the group, and connecting with your soul. The retreat will be full of opportunities for you to disconnect from your "normal life" and re-connect with what's important to you. 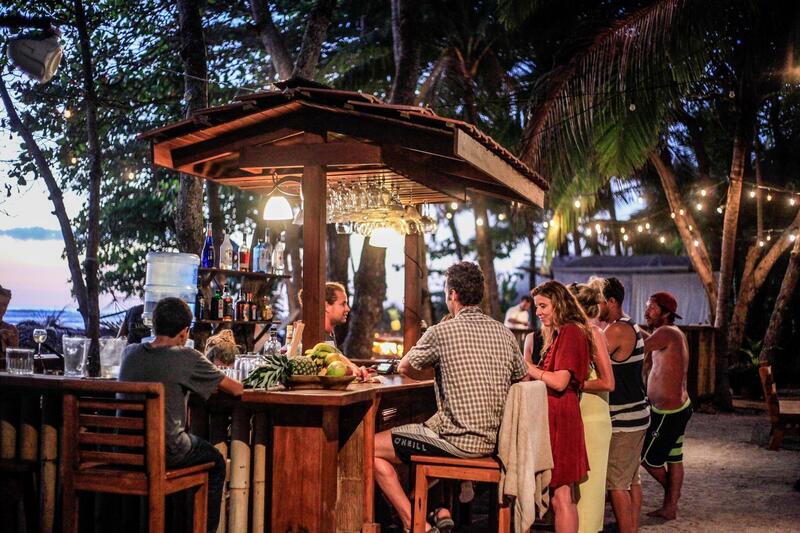 You'll want to use this time to engage in meaningful conversation with your fellow retreat-mates at the tiki-bar, or get more connected with who you are at a deeper level through the daily yoga & meditation classes. You'll be immersed in an enormous amount of diverse wildlife and you'll hear waves crashing as you stroll around the resort - enabling you connect with nature and the beauty that surrounds you. SUNDAY: You'll leave San Jose by coach bus early in the morning and arrive at the resort by early afternoon. Later that night, we'll all meet up for a welcome party on the beach. MONDAY-FRIDAY: Enjoy a week of adventure, learning and relaxation. Save $500 with Early Bird Pricing or $1000 for Couples. Save an additional $600 if you choose the Shared Room option (We'll assign you a roomie.) Prices will increase starting June 1, 2019. Or send us a message using the button on the bottom right of the screen. When and where should I fly into? Plan to fly to Juan Santamaria International Airport in San Jose (SJO) on Saturday 8/31. You can arrive at any time that day. You will stay with the rest of the guests at a hotel we've arranged for you in the San Jose area (which is included in the trip package). The following morning, a tour bus will take you all to the Pranamar Resort. The weather in Costa Rica varies greatly depending on when and where. 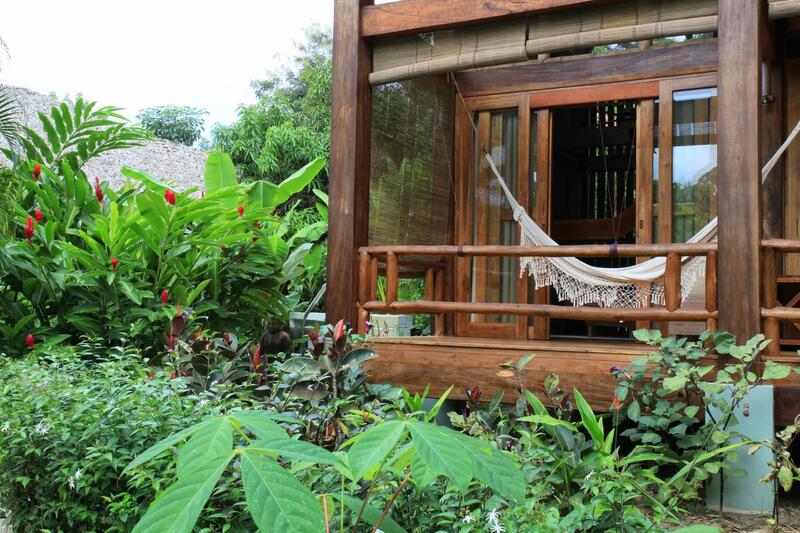 This retreat takes place on the west coast of Costa Rica during the Green Season. We chose this time of year because there are less tourists in the area and the jungle is lush and full of life because it's the rainier season. It's usually sunny in the mornings with some rains in the afternoons thus there is a calmer atmosphere around. So plan to pack for a variety of weather. Don't expect sun all day every day. The rain is part of the beauty of Costa Rica. There are no full refunds, however we CAN transfer your ticket to a future retreat, or alternative Wellbeing Hacker service. Any cancellation made prior to May 15th, 2019 will result in a loss of 50% of the trip price. Any cancellation made between: May 16th, 2019 and the trip departure will result in a total loss of funds. We reserve the right to cancel the trip if it is not meeting the trip minimum (if we do so you will be refunded in full.) Trip cancellation insurance is always recommended whenever making travel plans. You can use our suggested Travel Guard Insurance online and choose from several policy options. Can I pick my specific room/villa? Can I bring my spouse or significant other along? Only if you book a couple's retreat package. Part of the value of this experience is for everyone to go through all the experiences together as a community, and it's even more special when you do it with someone you love. Also, the resort has limited accommodations and we have rented out the entire place. As a result, all ticket options are only for people who actually plan to participate in the entire event. How will we be getting to the resort? How long will it take? Questions? Not sure if it's right for you? Schedule a call with me and I'll get all your questions answered! If your question or concern is brief, use the chat button in the bottom right corner and we'll answer you right away! Haven't decided yet, but would like to be reminded? If you're interested in attending this retreat or future retreats, enter your information and we'll keep you informed through a unique VIDEO SERIES. Get ready for the monkeys! We'll keep you posted!